How many of us know someone who has tried and tried and failed to give up smoking? What about that one person that is always on a “diet” but never actually loses any weight? It’s clear in everyday life that making that all important “lifestyle” change is challenging. Often we plan with good intentions but never actually arrive at the end goal we initially hoped to achieve. This can often be mirrored in the workplace. Changing organisational behaviour to impact performance, as I’m sure many of us can relate to, is not a straightforward quick fix. Sadly it’s rare to simply request someone does something differently and it to be done straight away. 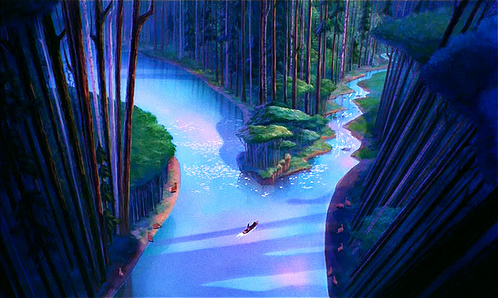 As wisdom imparted from the Grandmother Willow in the Disney film ‘Pocahontas’, “sometimes the right path is not the easiest one”. Regardless of what form the investment to change comes in, monetary or time, isn’t it worth putting this effort in to get it right first time, rather than having to go back and fix things as a result of cutting corners initially? Many view behaviour as a science. The reason why we act how we do in given situations, and how our behaviour can be changed by influencers, is a long standing debate. Behaviour is a complex entity, with many scientific explanations, and tackling behavioural change in any given organisational environment can be even more complex. B.F. Skinner, a well-known and respected psychologist, studied the behaviour of rats. He noticed behaviour is learnt and repeated with positive reinforcement. It was concluded that behaviour can be changed or determined by consequences; these being reinforcements or punishments. Who’s to say this same concept can’t be applied in the workplace? In order for behaviour to be changed for the better, reinforcements need to be used in the form of active management and regular feedback. Without this, people will simply revert back to their old ways of working. It’s all well and good telling people how to change and arming them with the skills to do so, but is this enough? Will this impact your workforce’s productivity levels? Short answer – no. For behavioural change to be truly embedded and sustainable, as per The Transtheoretical Model of Behaviour Change, the new behaviour needs to be in place for at least six whole months, with continual active management and support in place. Ultimately, like the hare and the tortoise, slow and steady wins the race – and if you are willing to make the investment to truly change culture, then you will reap the benefits. However, time and time again, we have seen performance improvement initiatives fail. Changing behaviours is often overlooked when perhaps it is the most important aspect of a programme that will actually change the way things are done and improve performance. You may have the best process, technology and systems in place within your organisation – however have you ever thought about whether the people within your organisation have the correct behaviours to drive performance? If your people are reluctant to change, or changes don’t stick – much like a smoker just ‘having the odd one’ – then perhaps taking the advice of someone who has worked with changing behaviour for 20 years might be worthwhile.